Direct Dedicated Lines - Global TaNK Co., Ltd.
UltraCall direct connections and dedicated lines are new telephone services connecting your sites over an independent communications network. Since it does not require NTT switching systems, no basic fee for NTT is incurred. These services are available for economical basic fees and calling rates. Direct connection is provided for ISDN (64/1500) and analog telephones. 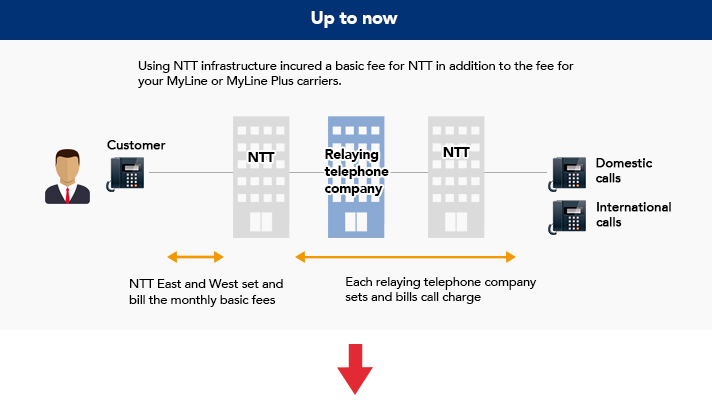 A highlight of direct connection service is the chance to enjoy lower basic monthly fees while receiving service essentially equivalent to typical NTT telephone service. And with number portability, you can continue using your current telephone numbers. Slash communications expenses with economical basic fees and calling rates. For details, contact our sales office. Dedicated ISDN 1500 lines are available over a metro network laid independently as the backbone network. 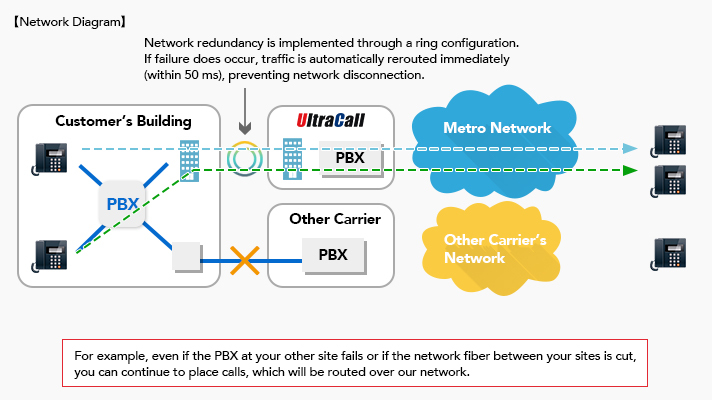 By connecting your private branch exchange (PBX) directly to this reliable and secure fiber optic network, we can provide high-quality voice service at low rates. One unique advantage of dedicated lines is that there are no restrictions on outgoing or incoming calls even in emergencies. What's more, the network is monitored 24/365, and customer support is prompt and attentive to detail. With number portability, you can continue using your current telephone numbers.